Things To Do – Hamnet’s Secret Code Quiz. CAN YOU FIND THE MESSAGE? 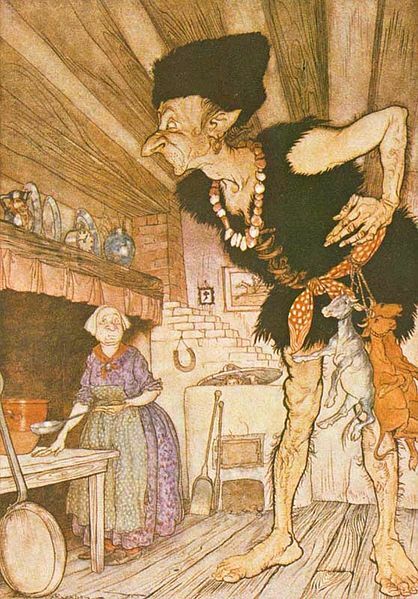 Will Blyton and The Stinking Shadow have something hidden in the trunk. Hamnet the boy trapped in the stone cannot speak properly because the evil magician Master Corpsehound has put a spell on his tongue. He needs to tell Will Blyton something but has to use a code. Look up the answers to Hamnet’s clues and then work out the message. Where was Ann Boleyn imprisoned? Use the first two letters of the first word to make the first word of the message. 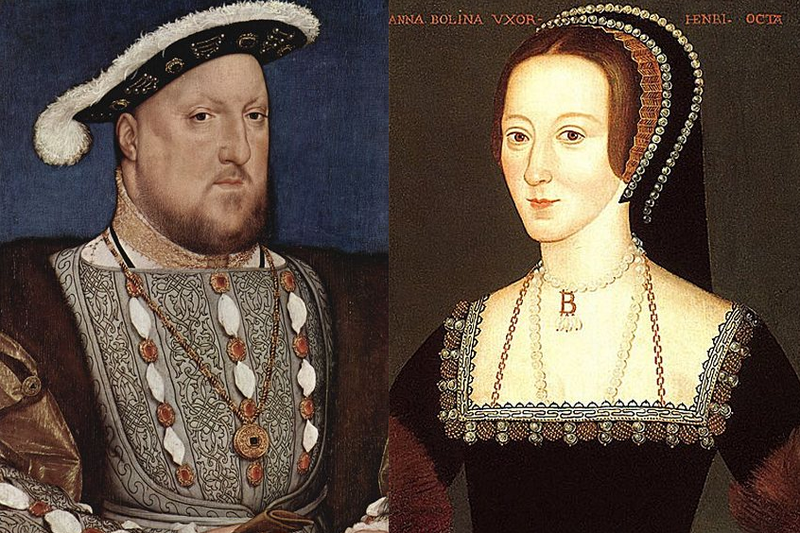 Ann Boleyn was Henry VIII’s second wife. Where did she end up? 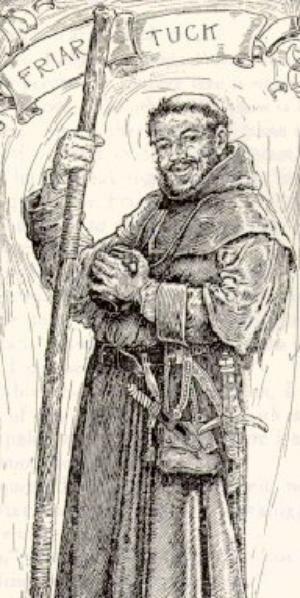 This monk belongs to Robin Hood’s band of Merry Men. Use the first two letters of the first word of his name. It is said that he really liked his food. An apple fell off one of these onto Sir Isaac Newton’s head. Use the last two letters of this word and join them onto the two letters from clue number two. Sir Isaac Newton gained clarity when an apple fell onto his head. Another word for “I”. This is the next word in the message. Jack came across one of these when he got some magic beans. Use the first letter of the word. Well, he certainly ate all his vegetables. 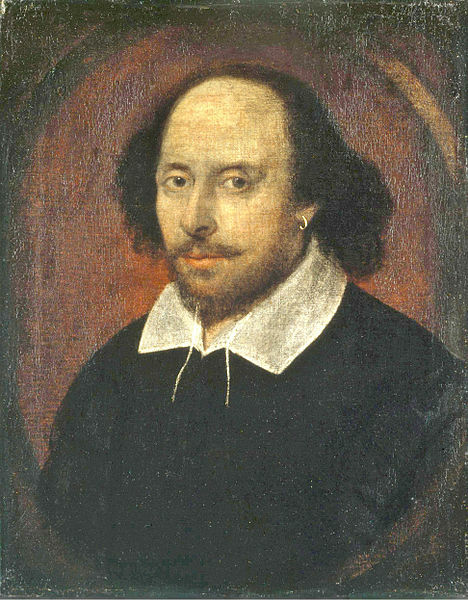 If you look up the Moor of Venice, you will find the name of a very famous Shakespearean character. Take the first letter of his name and attach it to clue number 5. This will make the next word in the message. 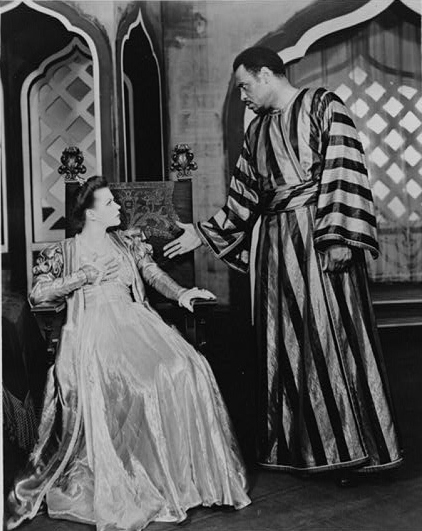 The Moor of Venice – but what is he called? A country in South Asia – Take the first two letters. Bombay is a very famous place, but which country is it in? Take the letters from clue number 1 and attach them to clue number 7 to form a word. 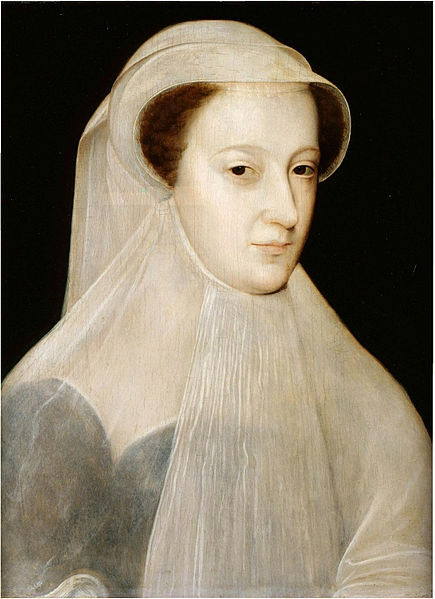 This famous Scottish queen was beheaded for allegedly planning to assassinate Elizabeth I. Take the first and fourth letter of her name to form a word. Who is this famous queen? 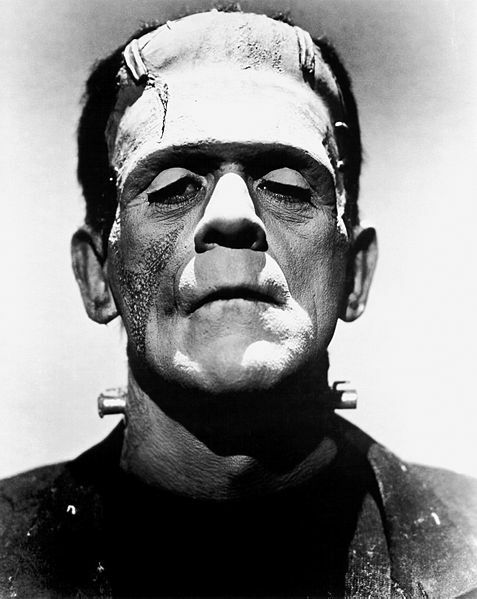 Mary Shelley wrote a very famous book about a man who made a monster. Take the first letter from the name of the book. What is Garfield? Take the last two letters and attach them to clue number 10. What do you have growing on your head? Now change the word slightly so that it’s a female pronoun. Attach it to clue number 10 and 11 to form a word. What’s that stuff sticking up like a sore thumb? In Greek mythology, Medusa had something in her hair. Take the first letter of what was in her hair and attach it to the end of the word which you have made from clues 10, 11, and 12. Put them all together to form a word. 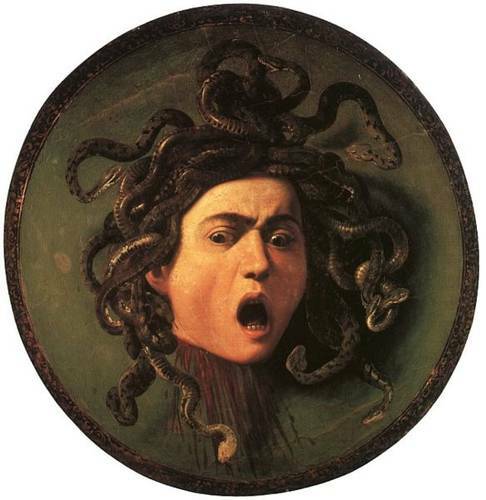 Medusa by Caravaggio. And we think we have hair problems today! William Shakespeare wrote many of these. Use the full word. 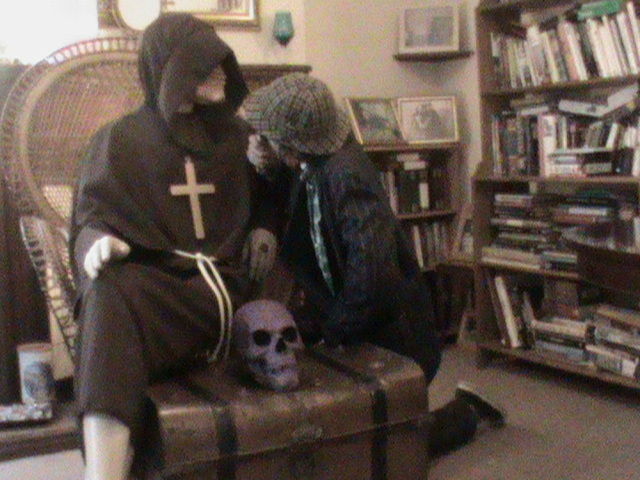 Hey, that Shakespeare guy looks really suspicious – I’m beginning to wonder if he has something to do with all this stuff. Well, Blytonians, if you’ve followed all the clues correctly – you should now have a secret coded message written by Hamnet for Will to follow. What does it mean? More will be revealed soon. Posted in: Will Blyton - The Alternative Detective., Will Blyton - Things to do.